Another beautiful, but chilly, day at Lake Creek Trail! 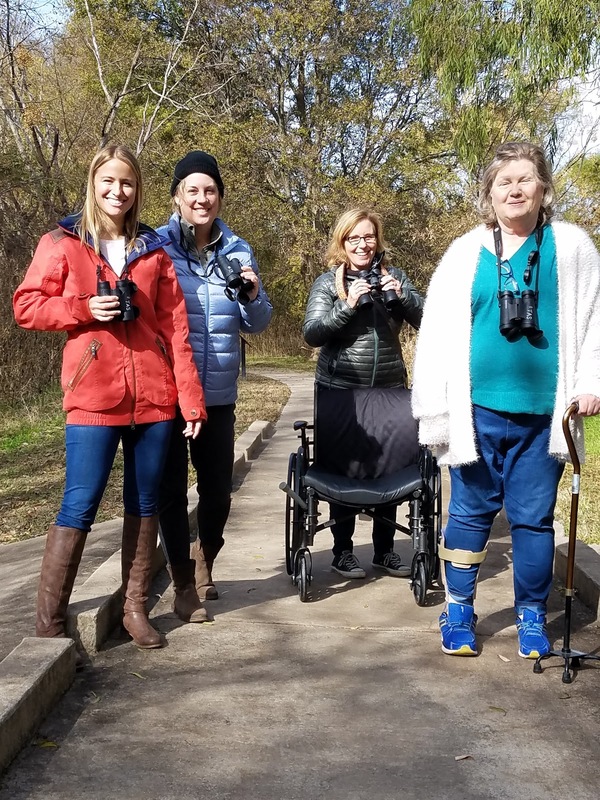 On Tuesday, November 27, Rehab Without Walls, a national organization that "blends science and creativity" to provide better "neuro rehab results in three types of settings," joined me on its first bird walk. 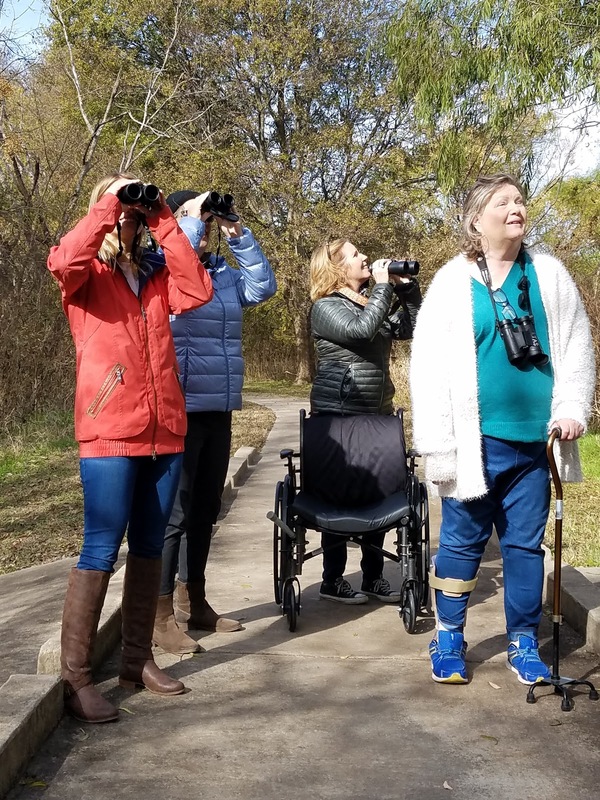 Cindy, who uses a cane and a wheelchair and three physical therapists, Mollie, Peggy, and Callie, clad in warm jackets, donned binoculars, learned how to use them, and set off. 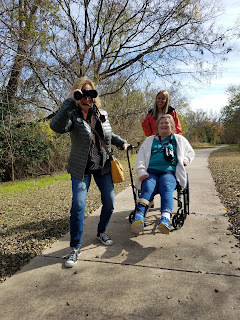 We learned bird vocalizations and some basic field marks and identified ten birds. A tree full of yellow-rumped warblers started us off with a bang! Birders soon found themselves chasing these "butter butts" all around the canopy, practicing their new skills. Black vultures followed each other around in tight circles above us, and a turkey vulture sailed along in one long straight line. 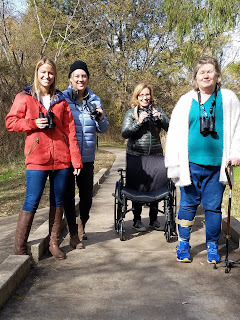 The typewriter calls of ruby-crowned kinglets surrounded us, and we all got many clear looks at their bright red crowns. At least ten blue jays fussed obnoxiously, mobbing an American crow who was stealing their pecans. Red-shouldered hawks called but stayed hidden. Northern mockingbird, Carolina chickadees and titmouse rounded out the morning. A great day! Physical therapy doesn't get any better than that!